Curious if anyone may have a lead on a source for a small bit of this fabric. I've been searching to no avail! Any lead appreciated. 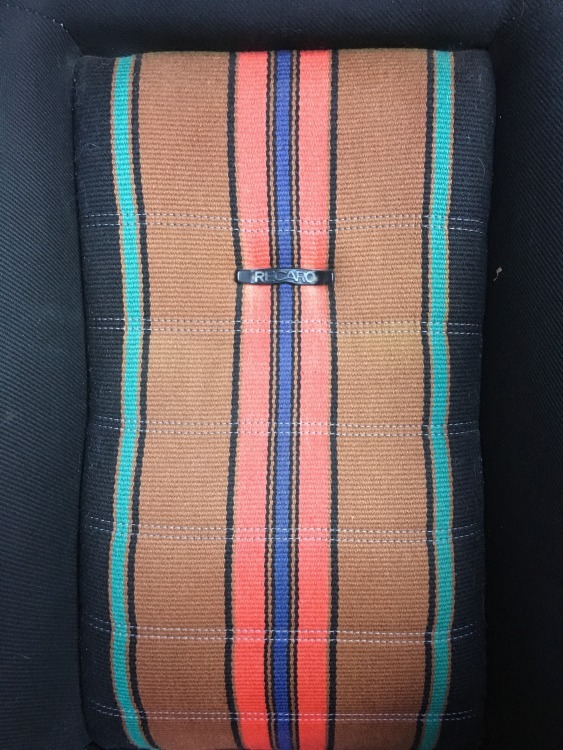 Fabric is from Recaro Rallye II seats, circa the '70s. Call GTS Classics. He'll either have it or have good suggestions where to look. Thanks Nick! Good call - I will do so.